Today I take time to dwell on how great it is to be a Mom. I think about that all the time, actually...not just today. I've done a lot of things in life but nothing compares to being a mother. I have four kids...one in heaven waiting for me, three on earth. I know, two of them are not exactly "kids" anymore. The first is a 23 year old youth pastor. The second is a 22 year old senior risk representative at Capital One. The third is almost an adult. Yet they will always be my kids...my babies. I enjoy them so much. 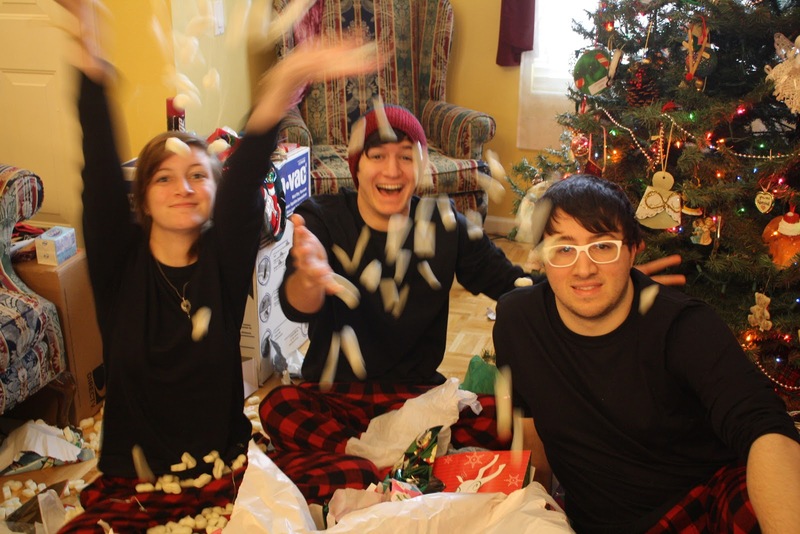 This photo above is them sitting by the Christmas tree throwing packing peanuts in the air after opening their gifts. As usual Jordan and Savanna threw them and Dustin sat there wondering why they were doing it. I am so proud of them. Yes, they are caring human beings who have accomplished wonderful things. But most of all, they personally know and love God. They chase after Him, and they desire to make a difference in the world. 1) Love God - introduce them to Him, set an example of what it is to know Him and follow Him. 2) Love them unconditionally and show it to them openly. 3) Live real, open and honest - no secrets. Be the same at home as I am everywhere else. I'm going to bring the message at church this morning: "Why Moms Are So Powerful." We're going to give away gifts and eat chocolate (right in the service!) and it's going to be really amazing. But the best part of my day will be having lunch with my children.